Thursday, June 8, 2017. Milliken Auditorium in Traverse City. 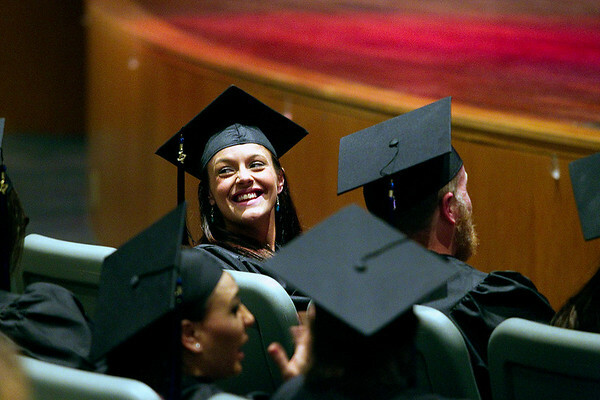 Elizabeth Blake looks back at supporters during Thursday's Traverse Bay Area Intermediate School District Adult Education Commencement at Milliken Auditorium on the campus of Northwestern Michigan College in Traverse City. Over 60 students from ten area counties received high school diplomas or GED certificates through the program, which is run through a cooperative effort between the TBAISD, Networks Northwest and Northwest Michigan Works!